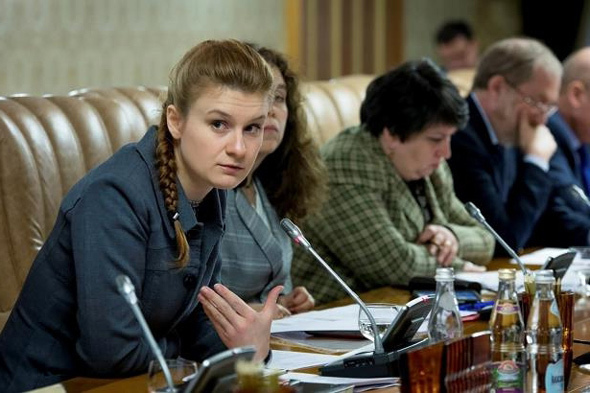 Alleged Russian agent Maria Butina met with key members of Obama's administration in 2015, a bombshell new report has revealed. Butina, who is accused of working as a spy for Russia, had "top secret" meetings with officials from the Treasury Department and Federal Reserve on separate occasions, according to the report. Arrested in Washington D.C., on July 15, federal investigators charged Butina with conspiracy to operate as an unlisted foreign agent in the U.S. The 29-year-old Russian woman is accused of working as a covert spy while in the U.S. on a student visa and will remain behind bars for violating of the Foreign Agents Registration Act. She has been accused of attempting to infiltrate multiple organizations in the U.S. at the direction of an unnamed senior Kremlin official. The Blaze reports: Investigators allege that Butina worked in the U.S. at the direction of a high-level Russian official from early 2015 to at least Feb. 2017. Reuters reported that Butina and Alexander Torshin, the former Russian Central Bank deputy governor, met with Stanley Fischer, then-vice chair of the Fed, and Nathan Sheets, then-Treasury undersecretary for international affairs, in separate meetings in 2015. 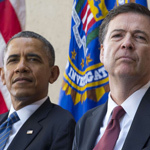 The purpose of the meetings was to discuss U.S. economic sanctions placed on Russia during the Obama administration. The U.S. placed sanctions on Russia multiple times during the Obama years over Russia’s involvement in Ukraine, its annexation of Crimea, and the Russian government’s interference in the 2016 presidential election. The meetings were arranged by the Center for the National Interest, a Washington D.C.-based think tank that advocates pro-Russia interests, Reuters reported. She allegedly worked for Torshin. Butina has pleaded not guilty to the charges against her. A judge ruled last week that she must remain jailed until her trial. Still, the Russian Foreign Ministry has initiated an online social media campaign to help secure Butina’s release.